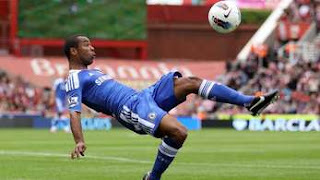 Barcelona coach Pep Guardiola has been looking for a quality left-back for some time and he sees Ashley Cole as the perfect signing. Chelsea are reportedly willing to let the 31-year-old go for £12m at the end of this season. England star Cole was a target for Real Madrid last summer and was interested then in moving to Spain, but Chelsea held firm and refused to sell him. However, it now appears that manager Andre Villas-Boas is open to letting Cole leave, as he already has his eye on Porto left-back Alvaro Pereira. It is thought that Villas-Boas will use the sale of Cole, who moved to Stamford Bridge from Arsenal back in 2006, to help fund a deal for the Uruguay international. The pair worked together during Villas-Boas' days at Porto and he is aware of Pereira's €30m buyout clause.